Cut the shiso leaves in strips. Lightly boil the okra, cool the okra with cold water, and then cut it in round slices (5mm). Slice your favorite sashimi in bite size and mix with the ingredients made in step1. 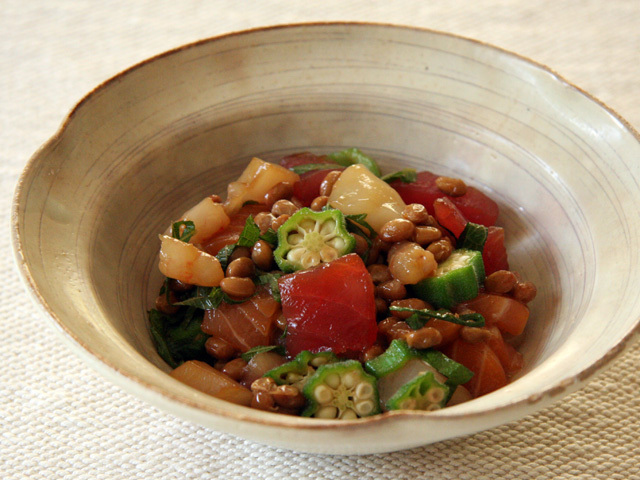 Add fermented soy beans, the sauce that comes with the fermented soy beans, and soy sauce to the mixture.